Recently there was an article published about a customer who uses my lumber estimating software. The same Lumber Estimating System software I use to estimate has been published to the Caddy Shack Productions store. With this lumber estimating software you will be able to do in minutes what used to take hours. I found in developing the system that this system is far more accurate than my old ways of estimating especially for floors and rafters , rake walls, and I could do the counts for floors & rafters in seconds instead of hours. What's not to love about that? Have you been wanting to do estimates on your computer without printed plans? This is known as "On Screen Estimating" or "Paperless Estimating". Caddy Shack Productions uses eTakeOff estimating software that is available free to you to enable the viewing of our estimates on your computer screen, printing only those pages you need and not the whole set of plans. Auditing the lumber estimate is easy. The excel file output is organized for a builder. Contact me now and using GoToMeeting you can use this software on my computer. You then will be able to experience first hand the value of estimating this way. When bidding most General Contractors and Framing Contractors "Sq Ft" the structural hardware allowance based on experience and assessment of what type the particular structure is. In these times that is not necessarily the best thing to do. I have recently completed a takeoff tool that allows fast & accurate takeoff of all the commonly specified items from the Simpson Strong-Tie Catalog as well as all manufactured shear walls by Simpson Strong-Tie, Hardy Frame, and ShearMax. Additionally, it has tools for estimating nails of all types, paper and flashing products associated with siding operations, adhesives for floors, bolt finish options (black-plated-HDG) and much, much more. It is available in the store now. If you purchase the lumber estimating software package, for a limited time, I will give you the hardware takeoff module. Basement material estimate including concrete, rebar, excavation, backfill and other items in under 3 minutes? A paperless concrete estimating and reinforcing bar estimating system using eTakeOff and Microsoft Excel. 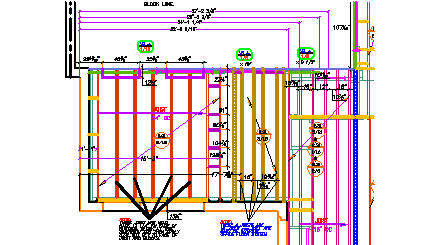 With a few mouse clicks and inputting some information available in written form on the plans, you can obtain concrete yardage, rebar amounts differentiated by size from #3 through #18, post tension cabling, sand, visqueen, trenching, forming, embedded hardware counts, etc. There are separate tools for slabs, walls, grade beams, footings, piers, stem walls, etc. You can then link to these quantities with any Excel friendly program to feed your existing bidding system - and have a graphic record of the takeoff. Contact me and, using GoToMeeting, you can try this out on my computer. I look forward to your questions, feedback and involvement in a more efficient, cost effective estimating system. 10 minute video demonstrating some usages of AutoCAD LT in Framing Operations. There are many websites and schools that teach AutoCAD. There are very few that teach AutoCAD LT. And it appears that a site that offers AutoCAD LT Training Videos or AutoCAD LT Tutorials (both free and for sale) is even rarer. AutoCAD LT is a very economical and powerful tool for use in construction and more specifically wood framing operations. You can purchase training time in half hour increments. You will be amazed at what you will be able to accomplish in very little time! I have added a page to the HiDef Videos Menu button. This page has videos I have used for live presentation to an audience about the benefits of using AutoCAD LT in construction. You will need Adobe Flash Player to view these videos. I recently uploaded two videos regarding AutoCAD LT 2011: Setting up AutoCAD LT 2011 for the 1st time and Custom Tool Bar construction. These videos can be found on the HiDef Videos page. Training for AutoCAD LT can be done over the internet using GoToMeeting or similar software. I have used GoToMeeting software to help a customer install eTakeOff estimating software and to view the estimating documents that were part of his project. We can securely log onto each other's computers and see what the other person is doing. There are PDF files for download that are examples of what can be done in AutoCAD LT. Many Block Libraries are available, including Dynamic Blocks for beams, joists, walls (regular and rake walls), windows, arch top windows, all suitable for wood framing operations. The Store is up and running! Wwe have nine products: two versions of the DWT file and two versions each of the Dynamic Window_Walls and the Beams_Joist DWG files and three different eTakeoff add-in packages. Please note that Dynamic Blocks became active with Version 2008 though the file format used until 2010 was 2007. If you want to use Dynamic Blocks you will have to have at least AutoCAD LT 2008. Hopefully, you have at least version 2010 because the ability to embed PDF files into DWG Files became active with version 2010. Take a look at the Examples PDF page. 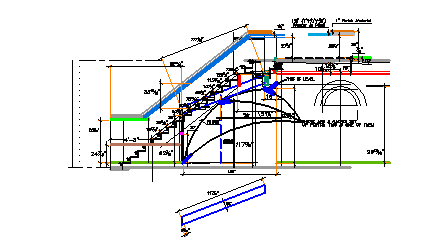 If this kind of work would benefit your project and you don't want to learn AutoCAD LT at this time, please click the Construction Assembly Drawings page in the Services tab and take a look at the services offered. The services are both cost and time effective. 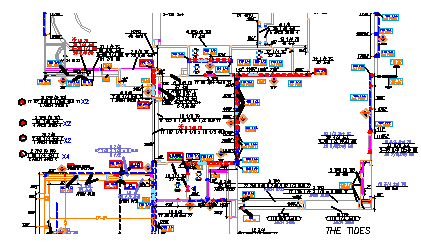 This is a png file printed from AutoCAD LT and is an example of Joist Layout. There is a hyperlink to the PDF file. Left click the image. This is a png file printed from AutoCAD LT and is an example of a set of exterior stairs with hidden support structure and an arch system that would be difficult to do without AutoCAD LT. There is a hyperlink to the PDF file. Left click the image. And finally (for now), this is an example of detailing done in LT. There is a hyperlink to the PDF file. Left click the image. Contact CSP Please send an email with your questions. Thanks for visiting. Download a 30 day Trial version of AutoCAD LT from Autodesk®.